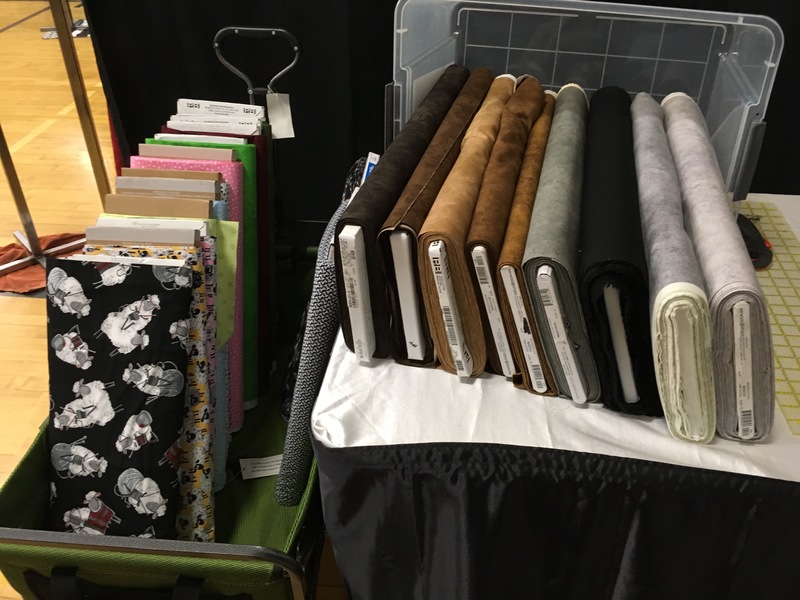 Returning to Blackfoot QuiltFest with fabrics (on the bolt) by Michael Miller, P & B Textiles, Maywood and their Shadow Play blenders, RJR, Wilmington, Susybee, and others, @ $8.99 / yard. 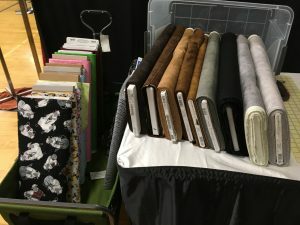 Flat fold fabrics @ $5.50 / yard. Susybee Grow Chart Panels to make your own darling quilts. Notions: including a wide variety of hand sewing needles, sewing pins, Best Press, zippers, and much, much more. 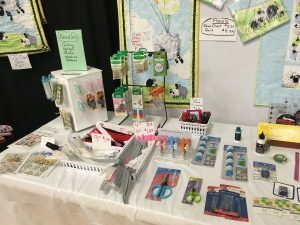 I also will have for sale items I have made. 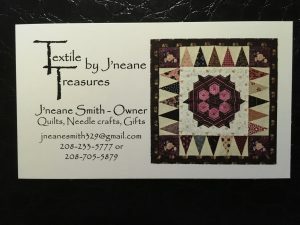 These make great gifts for yourself or to give to friends and family. They include Microwave Bowl Cozies, small zippered bags that I call “Anything Bags” to carry “anything” you can fit into them, sewing kits, decorated tea towels, Susybee Grow Chart Baby Quilts (finished), etc. 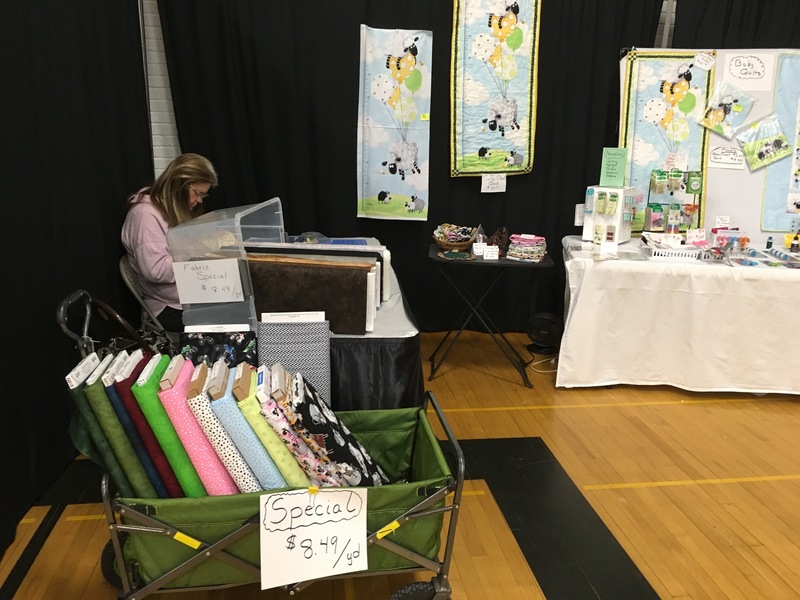 Please stop by my booth and check out our great prices marked down from retail for special quilt show savings.